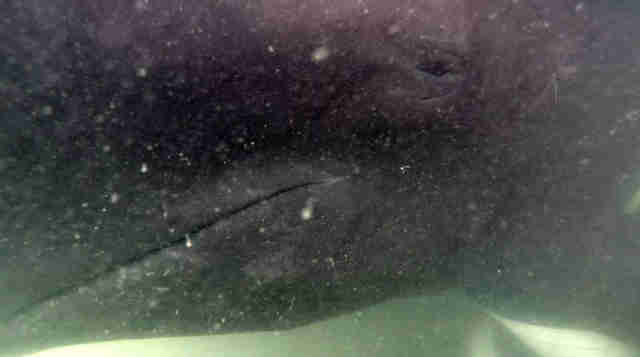 By the time rescuers discovered the small pilot whale last week, he was floating in a canal in Thailand and barely clinging to life. They jumped into the shallow waters to cradle his weak body, and attached buoys to his fins to keep him afloat. Others opened up umbrellas to give shelter to the animal and the veterinarians who raced to save him as he lay gasping in the heat. 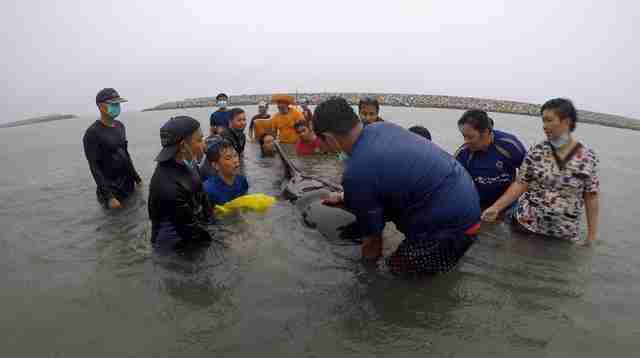 Rescuers rallied around the whale for five full days, hoping he would pull through. But it was too late. The whale had begun vomiting plastic bags, and on Friday, Thailand’s Department of Marine and Coastal Resources announced that he had died. While it was clear the whale had ingested plastic, a subsequent autopsy showed just how littered the whale’s home had become. 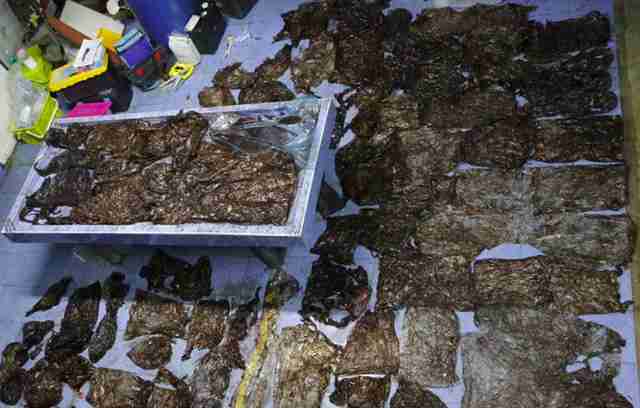 Over 80 plastic bags were found in the whale’s stomach, in addition to other various discarded objects. 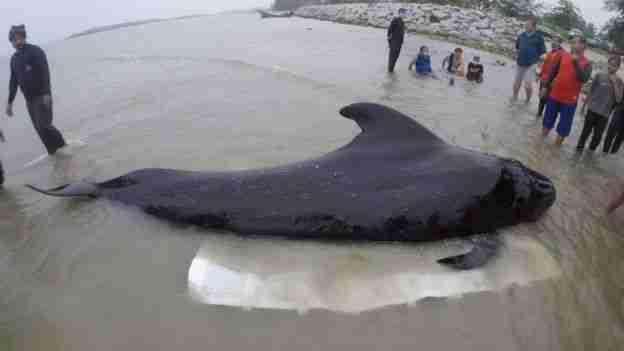 Officials believe the whale mistook the bags for food, as pilot whales typically hunt squid and octopuses, who may look similar while floating in the water. Over time, the whale had accidentally ingested 17 pounds of the plastic waste, which eventually clogged his digestive system. This whale is only the most recent in a growing list of high-profile animal deaths as humans continue to funnel dangerous litter into the world’s oceans. In April, a 33-foot sperm whale was discovered dead in Spain after ingesting over 60 pounds of litter. In 2016, a pod of 13 sperm whales made headlines for the same reason. Smaller animals, like sea turtles and gulls, are constantly in danger of eating or become entangled in litter like balloons. Rescuers from the local group Thai Whales, who rushed into waters with authorities to save the whale last week, shared a somber note on Facebook after the incident — pointing out that humans should feel obligated to protect the oceans and its animals. "The earth, the sea and the world are not built for the human species," rescuers wrote. "The animals and other creatures have the right to live in this world as much as people." To help protect marine animals, recycle whenever you can and opt for reusable bags. You can also stop using disposable plastic straws and cutlery at home and while dining out.